I made the mistake of reading the news on my phone late last night, and I learned that Pat Conroy had died of cancer. Like many readers, I am so saddened by his passing. 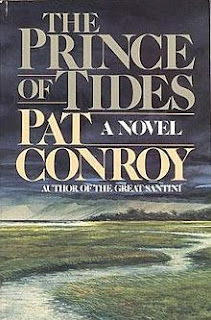 The Prince of Tides, with its evocation of Lowcountry life, its intricate tale of a family, and the beauty of its language, is one of my favorite novels. The quote that most resonates with me: “These are the quicksilver moments of my childhood I cannot remember entirely. Irresistible and emblematic, I can recall them only in fragments and shivers of the heart." 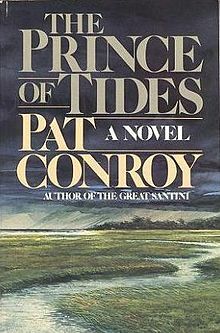 I felt a certain connection with Pat Conroy. Like him, my life has moved between Atlanta and the coastal south, and I always feel a bit of my heart is still at the coast (Savannah in my case, coastal South Carolina for Pat Conroy). When I was a baby we lived in a little carriage house apartment on Peachtree Circle in Atlanta. Years later I learned that Pat Conroy bought the house that owned our apartment, and of course the carriage house as well. The carriage house became his home office. He wrote The Prince of Tides in the carriage house where I lived as a baby. No wonder I felt a special connection to this book! My parents met Pat Conroy and his father at a book signing for The Prince of Tides at Rich's, North DeKalb Mall. They talked at length and both men inscribed a book with long personal messages. The message from Pat Conroy's father was signed "The Great Santini." For years my father went to a barber shop at the Darlington Apartments on Peachtree. Pat Conroy's father, Colonel Donald Conroy, lived there, and often visited with other older residents in the lobby sitting room areas. As my mother would sit there, waiting for my father, she would visit with Donald Conroy, and when my father came out of the barber shop, he would join them as well. When we read of Pat Conroy's pancreatic cancer diagnosis, my mother wrote him a letter. I hope he read it before he passed. He was such a gifted writer, and such an iconic part of southern culture. I am remembering him today. It's always sad when an author passes - we feel so connected to them through their work. I hope he did get a chance to read the letter your mother wrote.